They say you should try everything once -- and Kate Middleton and Prince William did just that. The royal couple attended a food and wine festival in the Okanagan Valley of British Columbia and as they walked around the booths, they nibbled and tasted small treats. But one seafood dish definitely wasn't for the faint of heart -- and Wills and Kate tested it out like champs. 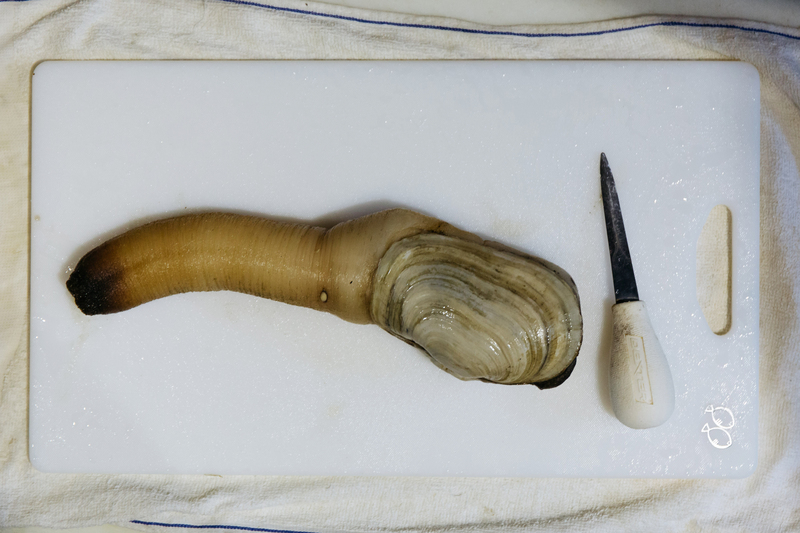 The Duke and Duchess of Cambridge were offered a Canadian delicacy called "geoduck" and it has a very phallic-looking shape. The giant clam has a long neck and a round bottom and is considered a huge treat in the Okanagan Valley, but it's not exactly the most visibly enticing food. "Presentationally they are quite challenging," Prince William quipped of the funny-shaped seafood as he reportedly walked along to the next booth. It looked like they were going to completely avoid the funny food until they got to another stand when they were once again offered the same item. This time, the pair went for it and munched on some thinly-sliced geoduck. After they tried the clam, Kate commented, "'There is a slightly firmer texture to this. It's really unusual. I've never seen it before. It's so fresh from the sea." The Duchess, 34, had a priceless face after she tried it out too -- puckering up and laughing. The duo continued around the food festival trying different dishes from curries to some lighter bites -- but the geoduck was easily the most interesting. Hey, if you're going to be a royal, you really have to be up for anything.